Català: La pedra de Rosetta resolgué un problema lingüístic particularment difícil. 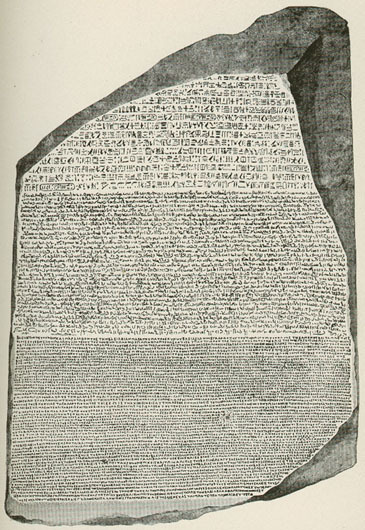 English: The Rosetta Stone solved a particularly difficult linguistic problem. Copyright information from http://www.cts.edu/ImageLibrary/Public_domain.cfm - All of the images in the Christian Theological Image Library are in the public domain. They were scanned from out of copyright books, or photographs by individuals who offer their work to the public. The scanning is also offered to the public domain.